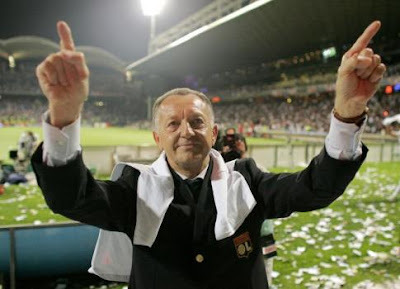 Just over twenty years ago, a small team in the French second division was taken over by a 38 year old local businessman called Jean-Michel Aulas, who promised a great future for the club. Now, Lyon have won seven titles in the last decade, they are one of only four clubs to have qualified for the Champions League for eleven consecutive years and they are rated in twelfth place in the football money list. Until the turn of the millennium, Lyon was better known for its excellent cuisine and as the birthplace of modern cinema. Football was barely even a major part of life for the locals, let alone nationally or internationally. However, they are now viewed as the biggest club in France and genuine contenders on the European stage. It was the appearance of Jean-Michel Aulas that coincided with the growth of Olympique Lyonnais. When he took over in 1987, they were in the second division with an annual budget of only £2m. His first decision was the appointment of a young local manager by the name of Raymond Domenech. In their first season, they finished top of the second division having gone unbeaten throughout the season. Twelve months later, they qualified for European competition for the first time. It is the long-term planning and philosophy in the transfer market that sets Aulas and Lyon apart from other teams, both in France and further afield. There have been two phases of the plan so far completed, and phase three has just begun. Part one ran from 1987 until 1998, where the priority was advancing to Ligue 1 and achieving consistent results in the league play. 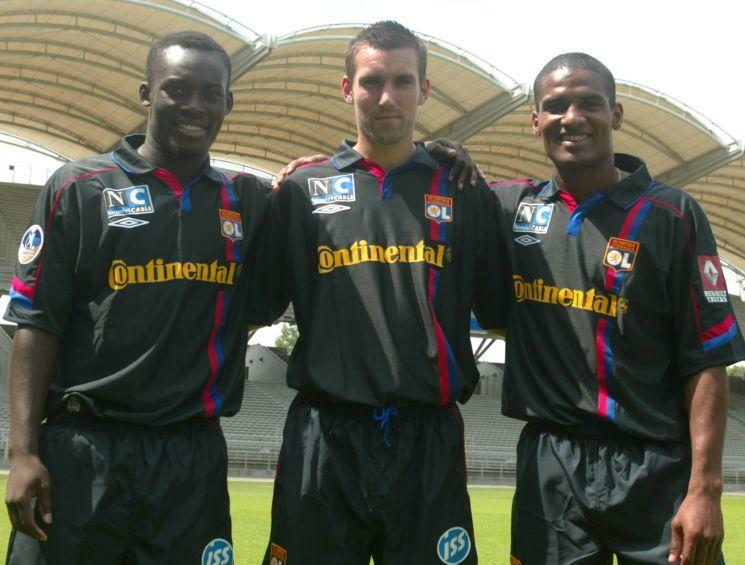 Part two ran from 1999 until 2010, where the objective was to maintain the club’s position in Ligue 1’s top three, and thereby regularly take part in European competition. 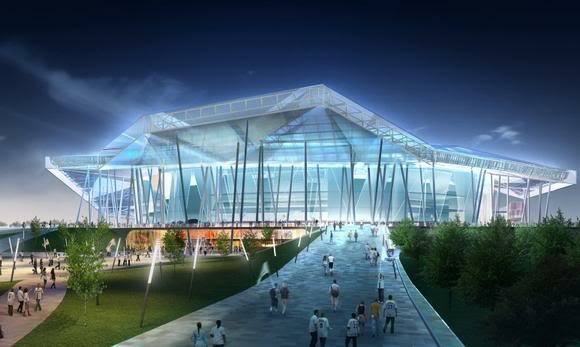 With the announcement of a new stadium, and the redevelopment of training facilities, the third part of the plan has just begun, and aims to turn Lyon into a major footballing superpower in Europe. Last season saw Lyon play in their first Champions League semi-final, and they will look to try and repeat that success this year. However, Lyon’s rise and continued success has been built on their success in the transfer market, and they owe this to the foresight and philosophy of their president. Aulas follows the rationality that if you buy good players for less than they are worth, you will win more games. You will then have more money to buy better players for less than they are worth. The better players will win you more matches, and that will attract more fans, and thus more money. Lyon follow five golden rules when it comes to dealing in the transfer market. The first of these is that all transfers are made by a group decision. Any transfer is debated by a panel that consists of Aulas, Bernard Lacombe, the head coach and four or five other senior coaches. The manager himself is somewhat sidelined in the proceedings. 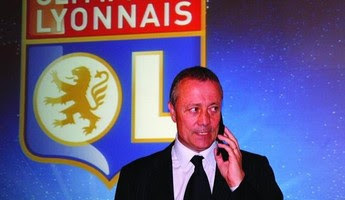 The major decision-maker in the club is Bernard Lacombe. Widely recognised as the best eye for talent in France, he is a former manager of Lyon, but was moved upstairs into a technical director role to keep him at the club long-term. Lyon recognise more than any other club that the manager himself should not be entrusted with the responsibility of deciding transfers. He is merely a middle manager, who is obsessed with the short-term. The standard English model is where the manager is a short-term dictator, who is responsible for everything until he is sacked. The next manager then clears out his predecessor’s signings at a discount. The second is to predominantly buy players in their early twenties. They aim to buy players between the ages of 20 and 22, who have potential and are considered the best in their country. They recognise that how good a player is at around 17 is rarely an accurate indicator of how good the player will become. However, by their early twenties, they are old enough to have almost fully developed, but still too young to be overly expensive. The club still maintains a small-town mentality, and there is no overwhelming desire from the fans to sign big name star players. Instead, they have bought talented, but relatively unknown, players on low salaries. Players such as Michael Essien and Mahamadou Diarra are some of the best examples of this policy. The third policy is to try and avoid signing strikers. They recognise that strikers are the most overvalued players in the transfer market (goalkeepers are generally the most undervalued). Therefore, they aim to develop their own strikers through their much vaunted youth academy, and then sell them on for a profit. In recent times, this process has been followed by the likes of Hatem Ben Arfa, Karim Benzema, Loic Remy, Sidney Govou and Freddy Kanoute. However, despite the fact that Aulas expects to sell his star players, he is renowned as one of the toughest negotiators in world football. In his own words, “every international at Lyon is untransferable until the offer surpasses by far the amount we had expected.” Throughout negotiations, he constantly rebuffs approaches and states the player is unavailable, but the moment the offer surpasses the amount he wants, the player is offloaded. The final policy seems incredibly obvious, but has seemingly gone unnoticed by many clubs worldwide. It is to help your foreign signings with their relocation. They have a translator, who also helps them find a house, arrange their bank accounts, get their bearings and generally reduce the worries of moving and relocating. They also focus almost exclusively on Brazilians and French-speaking signings. There is a long list of talented Brazilians that have arrived on the European stage via Lyon. The likes of Sonny Anderson, Cris, Fred, Edmilson and Juninho amongst others have come to France as virtual unknowns and proved to be excellent players. They use their former captain, Marcelo, as an exclusive agent and talent scout. They also focus not only on the quality of the player, but also on the ability of a player to adapt – in other words, they sign serious players, rather than necessarily the most talented on-field performers. All of these approaches combined have turned Lyon into a top team. They have only lost money in one year since 2004, and have been averaging a pre-tax profit of €23m over the past five years. The majority of this has come from player trading, where they have averaged a profit of €40m a year. Sales such as Michael Essien for €38m, Mahamadou Diarra for €26m, Florent Malouda for €19m, Karim Benzema for €35m, Hatem Ben Arfa for €11m are only a few of the big-money sales over the past five years. Last season saw a change in philosophy though. They saw the chance to close the gap on the major European teams, given their position of financial strength compared to other sides during the financial crisis. They splashed out a combined €96m on Lisandro Lopez, Michel Bastos, Aly Cissokho, Bafetimbi Gomis, Dejan Lovren and Jimmy Briand. 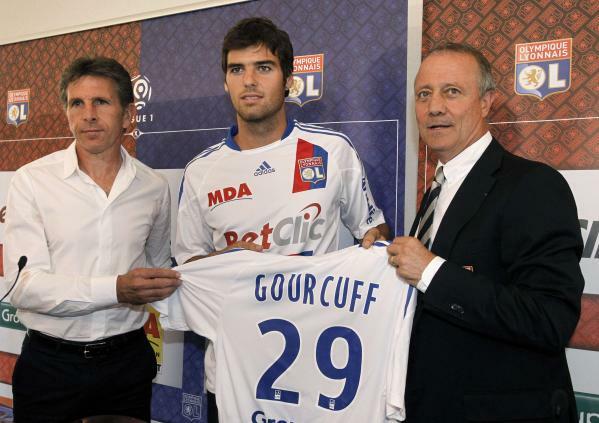 They followed this up with a net spend of €24m this summer, including the big-money signing of Yoann Gourcuff for €22m. However, this is not a sign of a long-term shift in philosophy. They have announced their plan to return to an excess of player trading from 2011 onwards. The next batch of academy graduates is beginning to break into the first-team. Maxime Gonalons, Jeremy Pied, Clement Grenier and Alexandre Lacazette have all started matches for Lyon this season. Thus far, Lyon and Aulas have executed their long-term plan to perfection. Aulas sums up his approach with a cycling metaphor. “Each year, we fix as an aim to have sporting progress, and progress of our financial resources. It’s like a cyclist riding: you can overtake the people just in front of you.” However, the third phase is the most ambitious of them all. And only time will show whether Lyon can become one of Europe’s biggest teams. But on past performance, you would not doubt that Aulas can live up to his lofty expectations.